Kaiser Permanente in Pasadena, California is opening a new medical school in 2020; they will begin accepting applications in the 2019-2020 cycle. They announced recently that they will waive tuition for the first five classes; this will undoubtedly create a surge in applications. Information about the admissions process for the first class of 48 students can be found here. The school has preliminary accreditation from the Liaison Committee on Medical Education. The Association of American Medical Colleges is hosting a virtual medical school fair on Feb. 21st from 11am – 8pm EST. Click the above link to register. Enjoy! 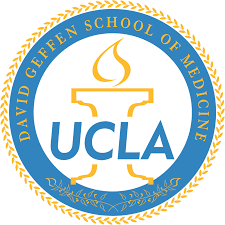 UCLA’s School of Medicine has raised the bar on its GPA and MCAT scores for applicants to be eligible for admission, sparking some controversy about the effect this might have on holistic review of applicants and the resulting diversity of the medical school’s student population. The new cutoff numbers will be 3.4 and 512, according to the proposal that will be implemented in the 2019-2020 application cycle. Students offered a different proposal to counter the proposed policy change. Leapfrog, an organization that tracks hospitals’ safety records, has given UCSD top honors for having the best teaching hospital in the nation. Information about UCSD School of Medicine can be found here. Does studying art enhance your observation skills as a physician, thereby allowing you to pick up subtle signs of illness? In recent years, there has been a general acknowledgment that studying art–and fine-tuning the art of seeing–helps medical students hone their skills. More medical schools are incorporating gallery visits and art classes into their curricula in an effort to sharpen students’ observational acuity. Arts Practica was founded by Alexa Miller to help medical professionals gain more skill in what they see. Arts Practica offers training programs, gallery visits, and classes which encourage med students to “learn to see.” An article in the New York Times describes a forum that took place at the Museum of Modern Art which convened educators and doctors to discuss teaching strategies in programs melding art with medical education. An additional article in the Times describes “What Doctors Can Learn From Looking at Art.” A study which found that studying the arts and humanities in medical school promotes empathy was published in the Journal of General Internal Medicine and referenced in an article on incorporating the arts into medical education. In addition, a study was done at Columbia and Cornell to assess the effect of an observational art course on medical students’ ability to reflect, tolerate ambiguity, and other traits. Northwestern and the University of Chicago describe the benefits of incorporating humanities courses into medical education in an article from the Chicago Tribune. 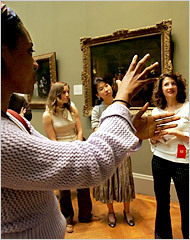 Yale Medical School incorporates visits to the Yale Center for British Art to help hone students’ observational skills. Another article about this program can be found here. A study shows that medical students believe that the arts contribute meaningfully to their education. Columbia includes visits to art museums in its medical school curriculum. 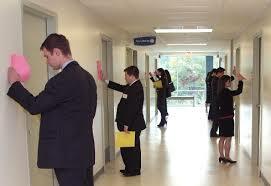 Harvard also incorporates visits to art museums for its medical students to hone their observational skills. Penn State has a class for fourth-year medical students in the art of observation and communication. For information about how to best prepare for the MMI, please refer to a previous blog post here or contact me to do a mock MMI session. Good luck!